Ed Dixon has been on my radar for quite some time. I've been lucky enough to see him on Broadway in the original Les Miserables, Mary Poppins, and the 2011 revival of Anything Goes. But it was the enthusiasm of my friend Mairi Dorman-Phaneuf over his autobiography Secrets of a Life Onstage...and Off that really got me interested in Ed. I immediately purchased his book and could not put it down. Needless to say, I was over the moon when my call got answered to interview Ed about his new one-man tour de force show Georgie, about his friendship with actor George Rose. Ed's performance in Georgieis one of the most powerful I have seen in a long time! It's gripping from start to finish! The best part about this interview was I got to conduct it at the opening night party for Georgie which afforded me the opportunity to not only interview Ed, but also Georgie's director Eric Schaeffer, and one of my long-time idols, Kathie Lee Gifford, whose work with both Ed and Eric as parlayed into a life-long friendship. 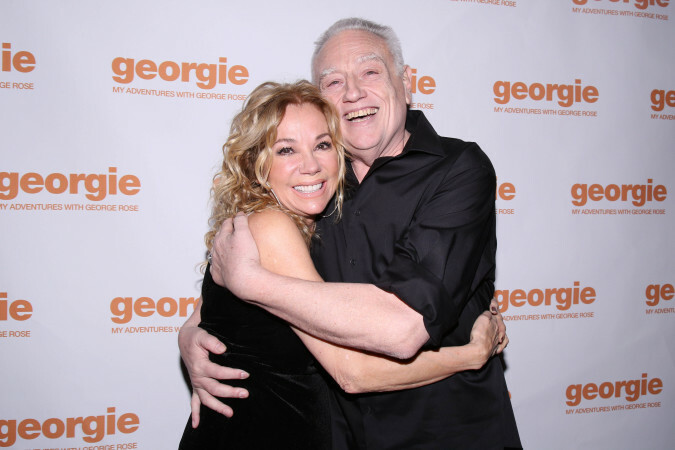 Ed Dixon's Georgie plays at The Loft at The Davenport Theatrethrough April 15 (354 West 45th Street, between 8th & 9th Avenue). Click here for tickets! For more on Ed be sure to visit http://www.eddixon.biz and folllow him on Facebook and Twitter! For more on Georgie visit http://georgietheplay.com and follow the show on Instagram! 1. What do you miss most about George? He was my connection to an entire world of show business: the Royal Shakespeare Company, Sir Laurence Olivier, Sir John Gielgud, Sir Ralph Richardson, Dame Edith Evans and superstardom in the theatre. And in an instant, he was gone. We would go see openings together, the opera and for months after he died, I would go to the phone to call him because when someone disappears instantly like that with no warning, they just don’t leave you. Obviously no matter what you find out about them, if you love someone for 20 years that doesn’t leave you either. 2. When you were performing at North Shore Music, you said that was the first time you actually felt as though George was your friend. What was that moment like? Let me tell you, George was not an easy person to get along with. When you see his interviews on line, there’s a great formality to him. He was born the same year as my father, in 1919. That’s a whole different level of gay. A whole different era of gay. Even in 1970, you weren’t allowed to be gay. Casting directors wouldn’t hire you, but he didn’t care. But there was a part of him that did because when you see the interviews, all that joyousness I’m trying to show, that I got personally, wasn’t in any of the interviews. They are very business like, which I found very fascinating. 3. In Georgie, there’s a big twist in the show which I don’t want to give away in the interview, but when you found out about it, did your heart just sink? Let me tell you, it takes a long time for a thing like that to sink in. There's a picture of me George took while we were in the Dominican Republic and I look happy. I see that picture now and I go, "My God. That’s amazing." He’s been gone for 30 years. I couldn’t have done this play before. I had my own problems to deal with. 4. Do you think the death of George was the first step towards your own downward spiral? It would be very disingenuous to say that. It’s a very complicated thing when someone loses control of their life. There were many pieces to it. In truth, I had been on a bad road for a while, but it certainly doesn’t help when a good friend is murdered violently and you find out a horrible secret about them. 5. How did you pick-up your life after George’s death as well as the death of two of your other friends at that time? Show business saved my life. I went into treatment while I was working in the original Broadway run of Les Miserables and they gave me my job back. I went back into the biggest hit on Broadway and if I hadn’t, I don’t think I’d be alive today. 1. As the director of Georgie, what attracted you to the project? Well, Ed…hahaha. We are good friends and because it’s such a personal story for Ed I think he wanted somebody he could trust. When he asked me, he said, "I’m writing this play. It’s a one-man show. It’s really personal to me. Would you do it?" I said "Absolutely!" And I hadn’t even read the play yet, but I think Ed is such a huge talent, not only as an actor, but as a writer/storyteller, so I wanted to be part of that. 2. You worked with Ed on Kathie Lee Gifford’s Under The Bridge as well as Best Little Whorehouse in Texas, and Sunset Boulevard. You’ve seen him grow as an actor over the course of his career. How do you think, in this show particularly, he’s grown from working with him previously? I think the hardest thing for Ed was to play multiple characters and not just one role. Plus, it’s such a personal story that it’s a challenge to know where the line was to say this was just enough and now it’s time to move on. In a rehearsal room, you have to be able to trust the person you are working with to say, "I trust you to tell me when it’s too much and when it’s not." I think the range of emotions, that Ed goes through, is probably the biggest thing he’s ever done. 3. For people who don’t know George Rose, what could be one reason, in addition to Ed’s incredible performance, they should come see this show? Anyone who loves theatre will love this show because it’s a real history through the theatre and it’s all about what the theatre was and is not anymore. It’s so exciting to re-live those moments to someone who actually lived through them originally. Me: And it has that twist, which I don’t want to give away in the interview, but it’s like you’re watching the show and then bam, where did that come from and it’s such an emotional point, it’s so great. You did a really good job with keeping that hidden and just letting it drop. Eric Schaeffer: It goes back to the writing. As Ed says in the play, "It’s all about the text." 1. 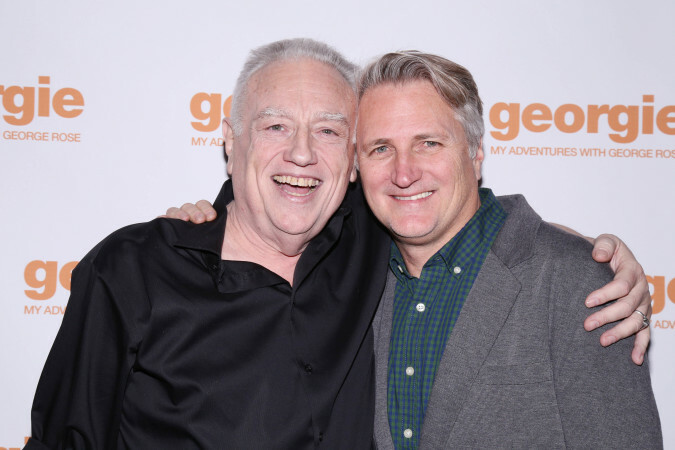 You are here tonight to see Ed Dixon’s Georgie about his friendship with actor George Rose. You had cast Ed in your show Under The Bridge. What do you love about Ed? How did you initially meet? Ed was doing a reading with me of another project that I had written called Saving Aimee, which ended up being Scandalous on Broadway, but at the time, I had also written Under The Bridge, and I took one look at Ed and I said, "You’re my 'Armand' and Ed laughed at me and said OK!" He didn't even know who "Armand" was at that time, but that's what actors learn you to do. You tell them they are a character and they are like, Ok, I'm that character." He was just brilliant to work with and we have remained friends all these years. 2. How does everything come full circle for you by seeing Ed Georgie? You know, any time you are on the road or in rehearsals with Ed, he always has a gazillion stories. I had heard a couple of the stories through the years of his friendship with George Rose, but I’d never known the story in its entirety of how impactful it was on Ed, on his whole psyche, his whole being. How do you process the devastation of finding out something so heinous about the person you admire the most? That is the real question. This show, Ed’s performance, is a tour de force! I’m trying to remember a more unbelievably powerful performance by a man on stage that I’ve seen in my recent memory and I can’t. Eric Schaeffer was my first director when I made my Broadway debut in Sondheim’s Putting It Together. He also directed Under The Bridge at The Zipper Theatre and then he was my very first, very important director on Saving Aimee as well. And Mary Cossette, one of the producers of Georgie is the widow of one of my husband’s (Frank Gifford) dearest friends, Pierre Cossette. So this is like old home week for me. I’m almost shaking with joy seeing all these extraordinary talented people I’ve been blessed to work with and call friends in my life. Me: They’ve been lucky to work with you. Kaithe Lee Gifford: Oh, I don’t know, you’d have to ask them…hahaha. I was the one who was new to the Broadway world and they welcomed me and encouraged me. You never forget the kindess of people. 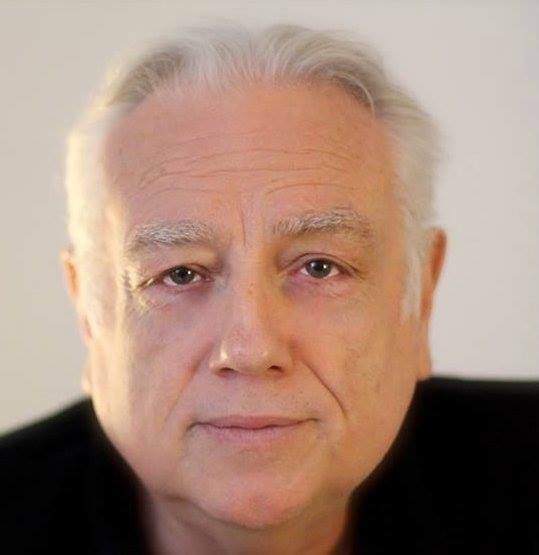 Ed Dixon is the author/composer/lyricist of Shylock (The York Theatre) which garnered him his first Drama Desk Nomination. He wrote Richard Cory with A. R. Gurney, on a Steinberg Grant from Playwrights Horizons. It was nominated for a Leon Rabin Award for Best New Work and won the NYMF Festival Award and the Audience Prize. Cloak and Dagger, his four-person musical recently opened at the Signature Theatre in DC, helmed by artistic director, Eric Schaeffer. Dixon’s Fanny Hill was presented by the York Theater where it won a Dramalogue Award, two Dean’s List Awards and was nominated for two Drama Desk Awards. Cather County which opened at Playwright’s Horizons won him a Leon Rabin Award at Lyric Stage in Dallas where it was also named best new theater work of 2000. Dixon’s grand farce, L’Hotel was given its premiere at Pittsburgh Public Theater last year by Producing Artistic Director, Ted Pappas. Ed’s comic thriller, Whodunit…The Musical has had countless productions all over the United States and he is the author of the highly successful book, Secrets of a Life Onstage…and Off. As an actor, Ed made his Broadway debut in 1971 with No, No, Nanette starring Ruby Keeler and directed by Busby Berkeley. Six months later he was opening the Kennedy Center in Washington DC as a soloist in Leonard Bernstein’s Mass, a role he reprised on the recording and at the Metropolitan Opera. Other Broadway credits include "Belasco" in King of Schnorrers, "Cardinal Richelieu" in The Three Musketeers, "Thenardier" in the original company of Les Miserables (a role he played more than 1700 times), "The Baker" in Cyrano: The Musical, "Ozzy" in The Scarlet Pimpernel, "General Wetjoen" in The Iceman Cometh (with Kevin Spacey), "Senator Carlin" in The Best Man (he also went on for Charles Durning as "President Hockstader"), "Mister" in Sunday in the Park with George, "Max" in How The Grinch Stole Christmas, "Admiral Boom" in Mary Poppins, and "the Captain" in Anything Goes. On tour he was "Mssr. De Rougement" in David Merrick’s Very Good Eddie, "Charlemagne" in Pippin with Ben Vereen, "Max" in Sunset Boulevard, "the Governor of Texas" in The Best Little Whorehouse in Texas with Ann-Margret, "Albert Blossom" in Doctor Doolittle, "the Director" in Curtains, "Max" in The Sound of Music and "Doolittle" in My Fair Lady. Off-Broadway he teamed up with Leonard Bernstein again (as well as Comden and Green) for By Bernstein, played opposite Bebe Neuwirth in Here Lies Jenny, joined Len Cariou and Roberta Maxwell in The Persians, and starred in Oliver Quade, Hotel Broadway, Identity and Shylock, all of which he wrote. He has received a Helen Hayes Award, and been nominated for a Drama Desk, a Joseph Jefferson, an Irne, and a Henry. 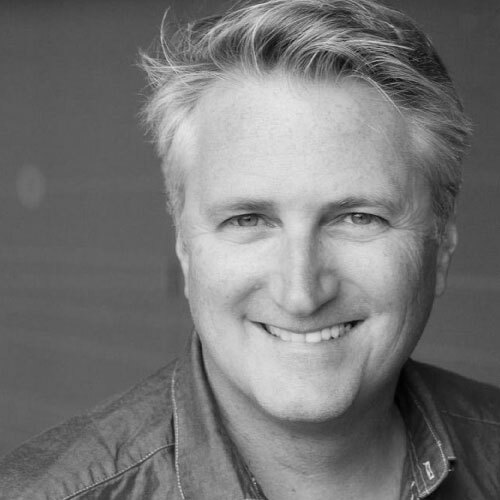 Eric Schaeffer is the Co-founder and Artistic Director of Signature Theatre in Arlington, VA. Under his leadership, the Theatre was honored with the 2009 Tony Award® for Outstanding Regional Theater in America, as well as 90 Helen Hayes Awards over the years, with an additional 340 nominations for theater excellence in Washington, DC. 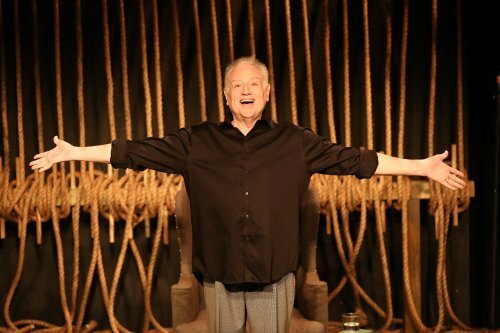 At Signature, he has directed numerous productions that include Elmer Gantry; Cloak and Dagger; Beaches; Crossing; Miss Saigon; Spin; Hello, Dolly! (Ford‘s Theatre co-production); The Best Little Whorehouse in Texas; Brother Russia; Hairspray; Sunset Boulevard; Chess; Show Boat; First You Dream: The Music of Kander & Ebb; The Hollow; Les Misérables; ACE; Kiss of the Spider Woman; Glory Days; The Witches of Eastwick; Saving Aimee; Into the Woods; My Fair Lady; Nevermore; The Highest Yellow; One Red Flower; Allegro; Twentieth Century; 110 in the Shade; Hedwig and the Angry Inch; The Gospel According to Fishman; Grand Hotel; The Rhythm Club; Over & Over; The Fix; Working; The Rink; Cabaret; First Lady Suite; Wings; Poor Superman; Unidentified Human Remains and The True Nature of Love; and the Sondheim musicals Merrily We Roll Along, Sunday in the Park with George (Arena Stage co-production), Passion, Into the Woods, Company, Assassins, Sweeney Todd, Follies and Pacific Overtures, among others. On Broadway, Eric directed Gigi, the critically acclaimed revival of Follies, as well as the Tony Award®-winning Million Dollar Quartet, Glory Days and Putting It Together. His national tours include Million Dollar Quartet and Big. Off-Broadway, he has directed Sweet Adeline (City Center Encores! Great American Musicals in Concert) and Under the Bridge. His West End credits include Million Dollar Quartet and The Witches of Eastwick. Kathie Lee Gifford has enjoyed a diverse and successful four-decade career as a television host, actress, singer, playwright, songwriter and author. Though best known for her 15 years on Regis and Kathie Lee (11 Emmy nominations), and currently acting as the three time Emmy-winning co-host of the fourth hour of the Today Show with Hoda Kotb, Kathie Lee has always pursued projects which inspire and challenge her. In 2013, Kathie Lee launched her podcast, Kathie Lee & Company, with Podcast One. Each week, Kathie Lee is joined by a friend from the world of TV, film, music, sports and news for a special one-on-one conversation. Kathie Lee made her Broadway debut in Stephen Sondheim's Putting it Together in 2000, then originated the role of "Marta Dunhill" in Rupert Holmes' Thumbs and played "Miss Hannigan" in a record-breaking run of Annie at Madison Square Garden. In 2005 her first musical Under The Bridge (book and lyrics, contributing composer) opened off Broadway. In November of 2012, her musical, Scandalous (book/lyrics) opened on Broadway at the Neil Simon Theater and received a Tony nomination. She is the NY Times best-selling author of many books including, Just When I Thought I’d Dropped My Last Egg-Life and Other Calamities, Party Animals, and The Legend of Messy M’Cheany. Her ninth book, The Three Gifts, was released in November 2012 with proceeds going to Childhelp. She currently writes a weekly article for the NY Daily News with Hoda Kotb. Kathie Lee devotes much of her time to the Association to Benefit Children, which spawned the Cody Foundation. The resources from the Association continue to support Cody House and Cassidy’s Place. Cody House provides a transitional home for infants and children who have severe disabilities and serious medical problems. Named for Kathie Lee's daughter, Cassidy’s Place, is the home of the Association to Benefit Children’s (ABC) national children advocacy.